The other day, I received a very unusual mail. It was a press release from Larry Sanger, editor in chief of Citizendium and co-founder of Wikipedia. The press release read, “One year and thriving”. It felt good, as I remembered an extensive interaction I had with him, when Citizendium was launched. And it has been a year already. How time flies doesn’t it? Sanger at that time, was certainly saddened by the way Wikipedia had “ill-treated” him, “More than anger, I am pained,” he had stated. Later on, when I had asked Jimmy Wales for an interaction specifically on his take on Citizendium, he had written back; “I am happy to be interviewed by you, but I don’t consider either Larry or his little project to be of sufficient interest to be worthy of an interview. I know the media likes to make up stories about people being enemies or rivals, but the truth is, I just don’t find that sort of story very interesting at all”. I, personally, was saddened, for I have immense respect for Jimbo (as Wales is more popularly known) and I felt for Sanger as well. The rivalry between Sanger and Wales is certainly not a thing to be happy about, like we used to be happy about McNealy Vs. Gates, or Noorda Vs. Gates, etc. Someday in the future, hopefully the hatchet would be buried and bygones would be bygones again. Meanwhile, Citizendium continues to grow, whereas Wikipedia has become the most renowned source of information on just about anything and everything. In this light, I thought, for the sake of nostalgia, I would put up the interview that I had done with Sanger and as it was published on CIOL and on Dataquest as well. One of thesedays I intend to call up Sanger, and talk to him about the progress that he has made and how is Citizendium doing. Talking to Sanger was indeed great, especially since he so well versed with things and so keen a listener. He doesn’t argue or tries to bow you down to his point, but would rather mildly explain it and show you the merits and leave it there. One would be hard pressed to find a person knowing anything about the web and not knowing Wikipedia or its founder Jimmy Wales. Wales is toasted across the globe, and hailed as an icon. Time Magazine even bestowed the sobriquet of a prophet on him. It is a story that hardly needs any mentioning. Yet, there is one small thing that blemishes the beauty of the such startling success, a certain controversy that refuses to die down, a certain name that refuses to be devoured by the demons of anonymity. 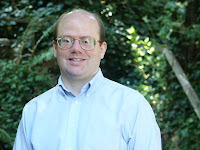 Sometime in 2000, Larry Sanger was dining with a friend and discussed the concept of wikis and how users could collaborate in a way like never before. Sanger discussed the same with his boss, Wales (then CEO of Bomis Networks) and thus Wikipedia was born. Sanger’s official designation was ‘chief organizer’, and was also working on another project similar in nature, Nupedia. A few years into the project, precisely in 2002, ideological differences cropped up between Wales and Sanger and both decided to part ways. In the ensuing years, Wikipedia went on to become a big, big thing. And so the legend of Wales was born. But in all this pomp and festivity, Sanger was left out. In fact his role at Wikipedia is debated even today, Wales questions his claim as a “co-founder” and terming him as just another employee. Sanger seemed to take it all rather stoically, maybe because he is a PhD in philosophy and loves epistemology – the study of the nature and scope of knowledge. A few months back, Sanger returned with an announcement, he is going to set up an alternative to Wikipedia, the project was named as Citizendium or citizen’s compendium. Sanger claims it is more close to the idea that was really in his mind, when he started Wikipedia. Currently he is putting things in place for the tentative launch in January 2007. In midst of all this, Sanger spoke to Shashwat Chaturvedi from CyberMedia News at length about his project, and why he is hurt at the way he has been treated by Wales. Excerpts. Searching information on the Internet is becoming increasingly difficult due to things like clutter and unreliability. It is hard to believe on what is available and yet there is little choice for a person searching for information. Your take.. Precisely. As the Internet is rapidly expanding, the available information is increasing in a way like never before, thereby adding to the clutter. But even so, if you notice there has been a slight shift in the way we search for information. For instance, if we want something generic we use Google, but if we are on the lookout for something specific, there is Wikipedia. Google is best suited for more general or rather generic information. In fact, one of the best things currently is that, Google even searches inside Wikipedia now. Reliability of information is a critical issue according to me. And Wikipedia has often been accused of having unreliable information; there are quite a few reasons for it. And that is where Citizendium fits in; it is a citizen compendium of knowledge, moderated by academicians, scholars, editors, etc. Thus bringing credibility to the information that is displayed. By bringing in academicians, scholars, etc. would not Citizendium be more elitist in nature? Certainly not. We are not trying to make it elitist in any sort of way; I am just trying to involve a section of the population that so far has not contributed in a major way. There will be complete democracy at Citizendium, similar to what is there on Wikipedia but there would not be mob rule democracy. The role of editors has been clearly defined and whenever a dispute arises, multiple views will be sort. I believe experts and scholars have a lot to share with the world, and Citizendium is just providing them a platform, like it is for everyone else. In a way, isn’t it like creating an expertopedia akin to Encyclopedia Britannica? I disagree. The fundamentals of Citizendium are quite the same as that of Wikipedia, but there is a major difference. Wikipedia lacks maturity that is attractive to professor/academics. Things like anonymity are quite off-putting to potential educational contributors. While Citizendium involves these academicians in way it hasn’t been done before. This is the essential difference between Citizendium and Wikipedia. Yet, the method and the aim of both remain alike. Meanwhile, take the case of Britannica, it is quite picky on articles and is created in a top down fashion. Whereas as Citizendium and Wikipedia for that matter are created efficiently in a bottom-up process. Thus we are much more closer to Wikipedia then we are to say Britannica. Why will scholars and experts choose to contribute at Citizendium? What is motivation for them to contribute? Let me first tell you something, it is not as if, scholars and experts did not get involved with Wikipedia. A lot many did, in spite of their reservations and the reason they do it is because they feel innately obliged to share knowledge with the world at large. In most of the academician there is a inherent desire to spread their word, in a way to show off. Many are also driven by their liking for truth and aesthetics and thus want to clear the air of any fallacies. These are broadly the things that motive such people and so Citizendium will encourage them to share their knowledge, for instance, there will be no anonymous contributors. Will the articles carry signature of the individuals then? Not at all. People are often averse to articles that have been signed by others. By anonymity, I mean, people will have to log in and register with a valid email id before they can be a part of the edit team. How is the work progressing at Citizendium and when will it be launched? We will start of as a fork of Wikipedia (thus we will have the same number of articles, etc.) and we will start of with English version. Over time, as more and more people keep editing or adding information to articles present (and once it is approved by editors), these edited versions will be retained and thus Citizendium will evolve into a viable alternative. But this process will be long, as there are millions of articles and it will be stretched over a few months. What is the revenue model? How will the venture be funded? Donations is one of the major way, both individual and corporate, to fund the venture. So far we have received over $1300 from individuals. We have also received our first seed grant, and have also received commitment for larger amount of money from other foundations. Corporates are also supporting this venture through different means, like providing deep discount on computer hardware, bandwidth connectivity, etc. To generate revenue, we will be looking at content brokerage in the future. Wales somewhere mentioned that if you fork from Wikipedia, he can similarly display Citizendium pages at Wikipedia. Your take. Wikipedia can, but when we are forking we are providing a link back to Wikipedia. I do not know how will they display Citizendium content without providing a link back to us. Are you angered at not being recognized for the role that you played in Wikipedia? More than anger, I am pained. To be frank, I would have been much more happier if my contribution was recognized, and not underemphasized in a self-serving way. While I do not undermine, Jimmy’s (Wales) role in Wikipedia and he deserves the accolades for it, but my role at Wikipedia has been significant. Till 2004, a Wikipedia press release referred to me as a “co-founder”. All of sudden, my role is being questioned. Believe me, it is quite disheartening. Through all this, I had faith that one day, the real truth will indeed come out. When you started off with Wikipedia, did you imagine that it will be as successful? To be honest, I did believe that it was going to be successful, but the scale, I did not imagine. Do you have any specific strategies for countries like India? How has been the response so far? The response has been very encouraging. We have received quite many applications from India. In fact, a quite a few of them are among the editors, the number is significant say equal to the numbers from Australia. We are banking on India and glad for the response so far. Finally, when was the last time you met Wales or interacted with him? (After much thought) Around one year ago, it has been a while, isn’t it?